What about Canshaker Pi: the Amsterdam-based semi-religious, jumping, breathing, crazy, fashion garage rock made by rich white kids. 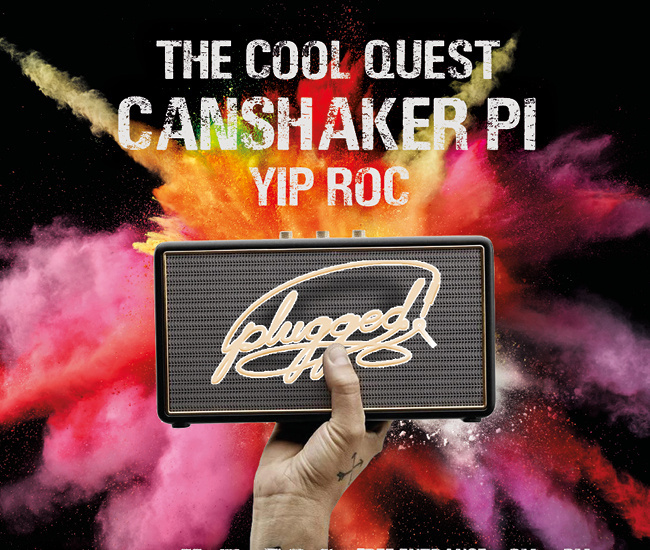 Canshaker Pi voluntarily allow the anxious friction of their music to boil over, until it irrevocably submits to the knee-jerk enthusiasm that makes this bunch tick. Plus, on the SG-stage we proudly present The Cool Quest. The energetic, musical all-round collective which is one of the best festivalbands our country has to offer. Get your freak on with this mix of Hip Hop. Pop, electronic soul and all of that. In 2016 the Plugged Festival was ranked number one in the Festival Atlas 2016 in the innovation-index: no repetition of the same artists at the festival. In the past, Plugged has seen acts like Lookapony, Mozes and the Firstborn, Waltzburg and Caïro Liberation Front. And for the third year in a row, Studium Generale will host the small stage on which student acts like White Feather and David Hordijk and the aforementioned The Cool Quest will perform. Get prepped to get plugged.